Regular readers will know that this year we had our kitchen renovated. 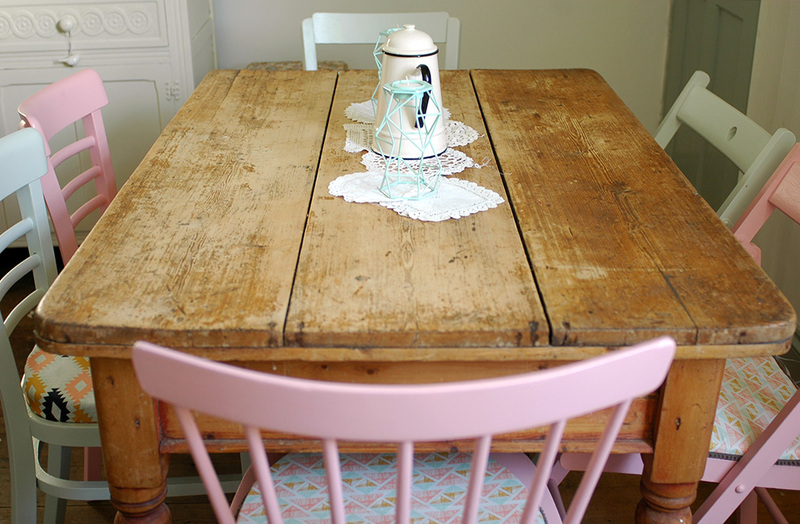 During the building and decorating work, some things somehow managed to get ruined, even if they were packed away, and my mismatched dining chairs all ended up looking grubby, paint splattered and generally a bit tatty. I'd been meaning to repaint them anyway for ages, so when Farrow and Ball offered me some of their paints for a makeover project, it was just what I needed to get on with it. I ordered two colours - Nancy's Blushes and Pale Powder. 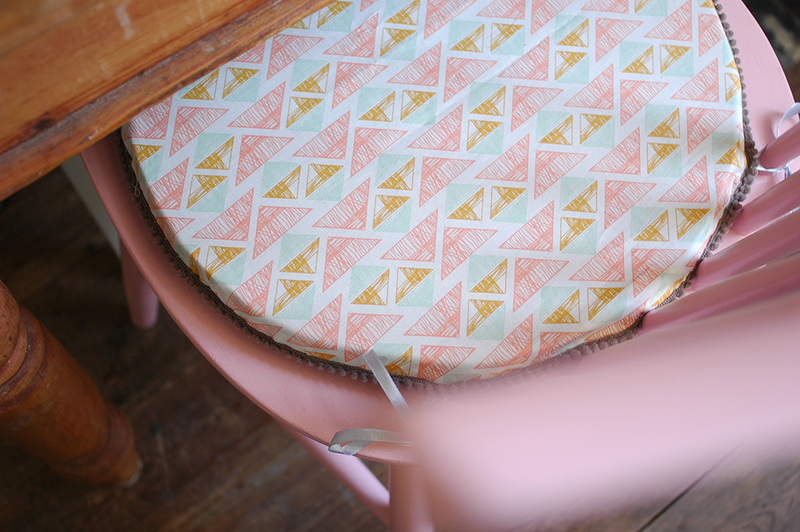 I decided that while my chairs are different styles (I have two pairs and two random ones), I wanted to bring some uniformity to them and thought these two colours would look great together. 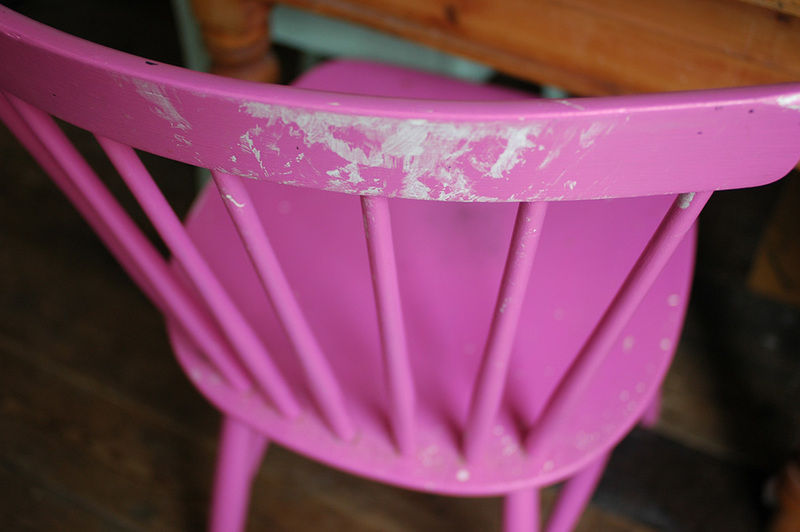 They all needed a good sanding, and I must admit I had a little help from my dad when it came to this project, sanding, priming and painting 6 chairs is not something you have a lot of time for when you have a small baby!! 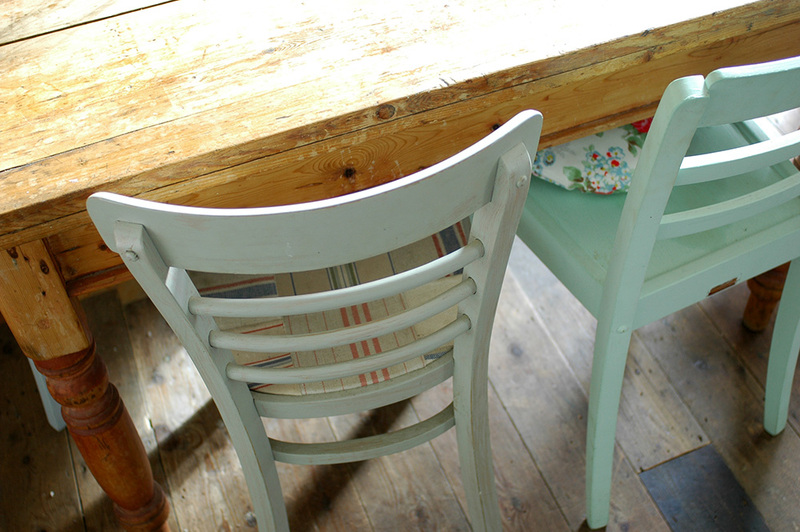 The chairs were primed using Farrow and Ball's Interior wood primer in white and light tones, followed by two coats of the colour. And here they are! 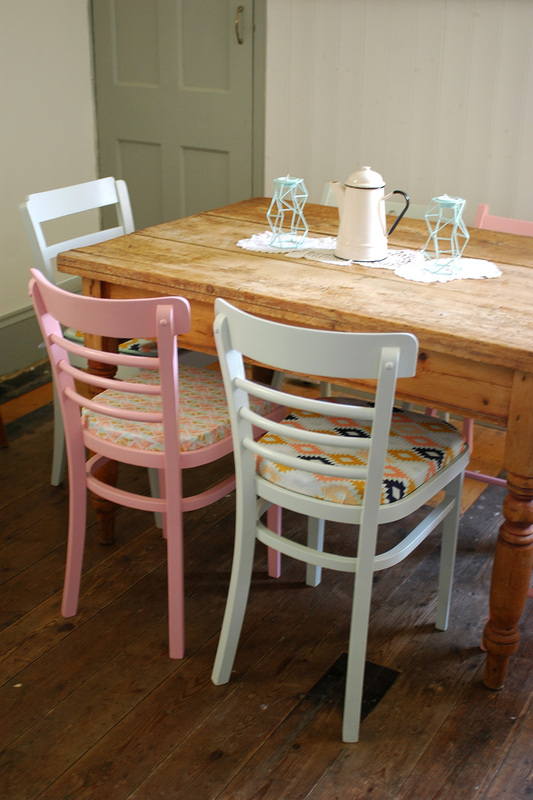 I'm really pleased with the colours and the finish on the chairs, it's really brought them back to life! You must ignore the state of our floor - that is another thing on the to do list, to paint at some point! As you'll notice I also make some new cushion pads for the chairs. This gorgeous fabric is from M is for Make. 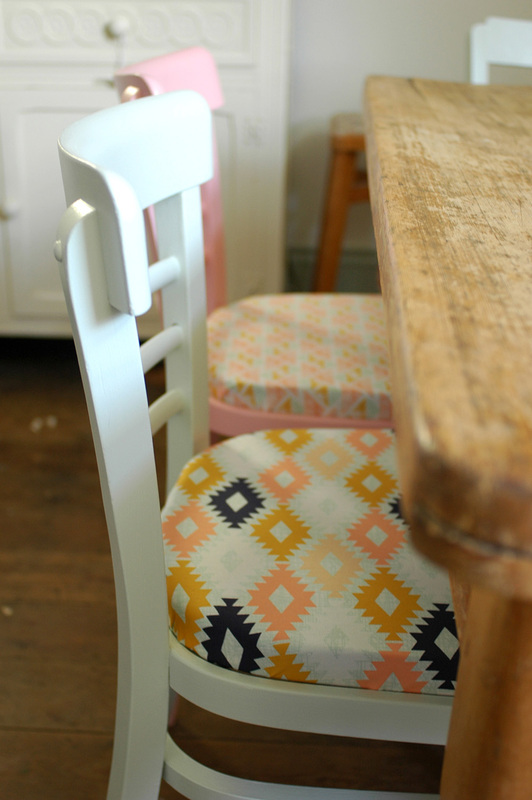 I'll be sharing the tutorial for making the cushion pads over on AO at Home in the new year so look out for that. 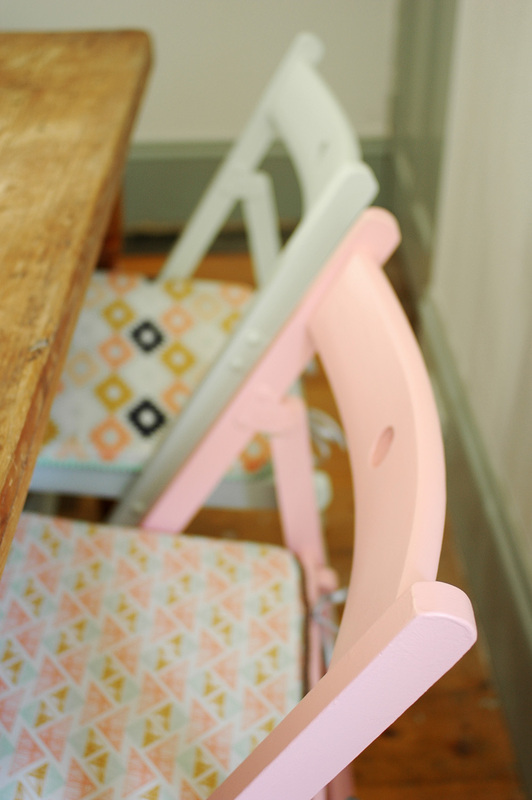 I'm so pleased with how the chairs now look. Thank you Farrow and Ball for the gorgeous paint, and giving me that little push I needed to get this job done! Check out all of the gorgeous Farrow and Ball paint colours.